Not Skipping Around-Albums That Must Be Heard! 1. Kiss “Love Gun” (1977). Even though my favorite KISS albums of all time are “Revenge” and “Crazy Nights,” they have a few songs that I skip over. 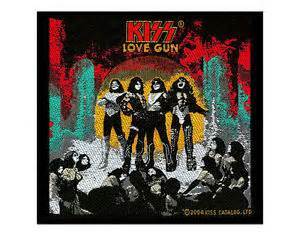 However “Love Gun” is pure joy to listen to, and at a run time of under 33 minutes, it doesn’t drag on. Of course many die hards like this because of Ace’s “Shock Me” on the album, I like everything on it, including Peter’s “Hooligan.” I remember getting this on cassette and listening to it constantly (I still have the cassette). 2. 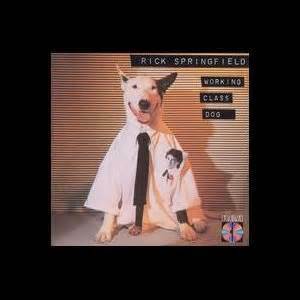 Rick Springfield “Working Class Dog.” (1980). This is the album many discovered Rick, even though he had several albums before this. This one made him into a star. Even some of us who weren’t familiar with him as Noah Drake on General Hospital, were hooked on this album, which had the #1 Hit “Jesse’s Girl”, and the remake of Sammy Hagar’s “I’ve Done Everything For You.” However, the deeper cuts like the ballad “Inside Silvia” and “Daddy’s Pearl” are true pop gems. This album was s staple growing up for me in Grade School and even in my college days. A true masterpiece. 3. 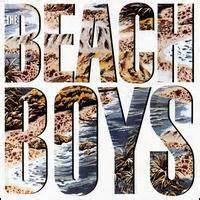 The Beach Boys “The Beach Boys” (1985). This album was, again, a big album of my childhood (on cassette). This was the first album since the death of drummer Dennis Wilson, and went into the 1980s synth-pop sound, but the harmonies and summer feel is still intact. It only had 1 Top 40 Hit, the underrated “Getcha Back,” which is a classic boy loses girl, boy meets girl years later. I still listen to this on CD and takes me back and reminds me of my best friend growing up in Junior High. 4. 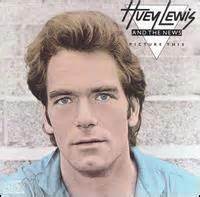 Huey Lewis and The News “Picture This” (1982). This album is where most people discovered the band (they had one before this one). Even though most think of “Sports” as THE Huey Lewis album (it was the most popular), this one still is my favorite. It is not as polished as “Fore” (another one with no bad songs), keeping it raw feel to it. It only had 2 Top 40 Hits, with the most popular being “Do You Believe In Love,” but songs like “The Only One,” and “Is It Me” are my favorites. 5. The Oak Ridge Boys “Fancy Free” (1981). The first album I ever had was their “Greatest Hits”, but this studio record (which I still have on vinyl) is true Oak classic. The self titled single, along with their best-known hit “Elvira” both topped the Charts. 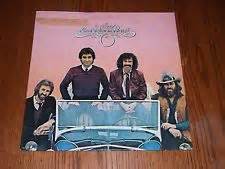 However the deeper cuts like “When Love Calls You” and “Somewhere in The Night” show not only how underrated Duane Allen’s voice is, but also the arrangements that he helped orchestrate the band to become one of the biggest acts in the 1970s-1980s. The last track “I Would Crawl All The Way” keeps their Gospel roots history going, which is something since they were considered a Country-Pop act. Good vocals hold up in any era, and this never sounds outdated. 6. 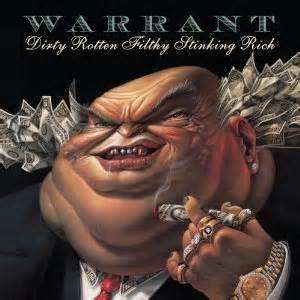 Warrant “Dirty Rotten Filthy Stinking Rich” (1989). In the so called Hair Metal decade (I do hate that term!! ), one of the big acts was Warrant. This was their first CD, and I remember proudly wearing their T Shirt in High School, much to be laughed at by the die-hard Metal fans. However, to this day, the CD holds up. It had 3 Top 40 Hits, including the famous “Heaven,” but there is not a song that can be skipped. Cuts like “In The Sticks,” and “32 Pennies” still rock. Most forget the lead single “Down Boys,” but I was hooked on them when I first saw that video on MTV. 7. 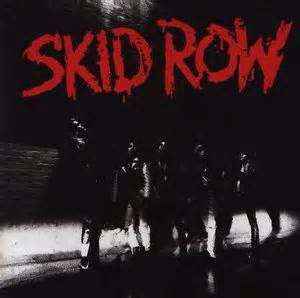 Skid Row “Skid Row” (1989). Also the same year was this band that somehow got lumped in the Hair Metal genre, even though they changed that with their second album a few years later. I cannot really name a bad Skid Row album with the first singer Sebastian Bach, but I’m picking this one as one that I cannot skip a track. Most know “Youth Gone Wild,” and the ballads “18 and Life” and “I Remember You,” but “Can’t Stand The Heartache” and “Big Guns” are true Metal classics. I liked this band from day one, and still like the stuff they are putting out. 8. Van Halen “Van Halen II” (1979). Van Halen is a strange band for me. I LOVED them in my High School Days, especially with Sammy Hagar as the singer (it was the first concert I ever saw in 1991). But throughout the years, the band has just dulled me out. I still think Sammy was a better VOCALIST but David Lee Roth was a great front man, and very few of their albums I can listen to anymore without some of the songs sounding dated. However this one still has the great songs on it, such as “Dance The Night Away” and “Bottom’s Up.” Even though “You’re No Good” as the opener is a cover, it’s not bad that you have to skip it. 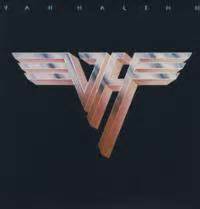 Ending the album with “Beautiful Girls” is a nice touch of some humor added that Van Halen sneaked into their songs. I still enjoy “Women In Love.” Most people pick the first album as their favorite, and I have no problem with it, but I think “Running With The Devil” is very overplayed so it lessens my love for the album. This one I still don’t get tired of. 9. 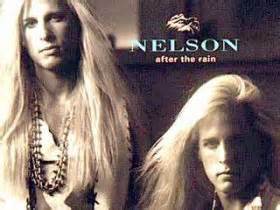 Nelson “After The Rain” (1990). Most people laugh when I say I am a huge fan of the Nelson Brothers. I loved Rick Nelson, their father, and his music as well. Most people unfairly judged them by the hair, but not realizing 1. They haven’t had the hair for years and 2. They paid their dues just to get to the first record. This album had 3 Top 40 Hits (most people wrongly thought they were a One Hit Wonder), and was some great Pop Hard Rock tunes on it, along with some ballads, all with vocal harmonies thrown into the mix. Songs like “Everywhere I Go” and “Only Time Will Tell” are great ballads that would fit in that era’s Power Ballads. One of the best concerts I have gotten to see in the past 10 years was getting to see the brothers perform, although it was a tribute to their Dad’s work, it was still a great show. These guys are great musicians as well. For those that always made fun of them, this album put them in the Guinness Book of World’s Records for being the first 3rd Generation Act to have Top 40 Hits. 10. 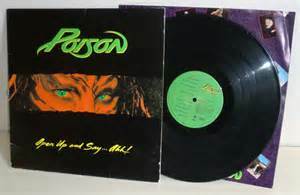 Poison “Open Up and Say..AHH!” (1988). This was the album, like many that got hooked on the band, with the hit “Nothin’ But A Good Time” and “Every Rose Has It’s Thorn.” Although one of my favorites is their first album, it had some fillers that I tend to skip. Even though I think “Rose” is overplayed (I was a roadie for a local Country Band that played the freaking song-Line Dancers and Power Ballads-made me sick! ), I can still tolerate it. The rare songs on here like “Back To The Rocking Horse” and “Bad To Be Good” are enjoyable. I always thought that “Fallen Angel” never gets the respect it should when it comes to Poison songs. I never get tired of hearing “Good Love” on the album. From beginning to end, this was a solid Poison album, which is not always the case in their catalogue in my view, but I still like the band. There are some of my picks for albums that I do not skip a track on. What’s your take? Care to tell me some of yours? There are a few others I probably could name, so maybe that’ll be another time.